Jema will supply a total of 10 IFX6 central inverters (1500 V) and 14 IFX3 inverters (1000 V) for five utility scale solar projects in France executed within the scope of the fourth round of the CRE tenders. Furthermore, Jema’s will also provide a maintenance service to assure an effective operation of the different PV plants. With more tan five service centers around all the French territory, Jema has formalized maintenance and supply contracts with more tan ten EPC contractors and renewable energy developers in France. The IFX6 family has a wide range of power ratings with two different versions, the 2c rated from 1500 to 1887 kVA, and the 3c rated from 2250 to 2830 kVA. Due to the French market characteristics, and more specifically, to the land restrictions included in the CRE public tender, the modularity of the IFX6 invertir allows an easy adaptation to this singularity. Since, Jema has commissioned more than 160 MW in France with central inverter for solar plants and roof systems. 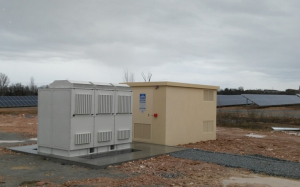 In 2018, JEMA installed the first 1500 V invertir in France complying with the local standards UTE C 15-712-1, then, the new 10 IFX6 1500 V inverters will be added to this portfolio. The stability, predictability and proximity place the French region as one of the top strategic markets of Jema’s renewable energy department.